Top 10 vendors in the automated storage and retrieval systems market account for around 25-28% of the overall market share; yet, the automated storage and retrieval systems market continues to remain fragmented. The fragmentation in the market can be gauged from the fact that Tier III vendors account for nearly 75% market share. These tier III companies are concentrated in a specific state/province and their business model involves providing cost-effective solutions to SMEs. 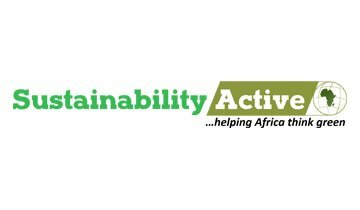 Though these companies do not have the deep pockets to scale up, collectively, they are a force to reckon with. Recent transformations in the warehousing industry are bringing in state-of-the-art technologies to enhance warehousing functions and management. Automated warehouses are witnessing growing adoption, helping manufacturers meet their demands for obtaining greater throughput. A palpable shift of focus towards mitigating operational issues and enhancing performance of warehousing functions is triggering adoption of automated storage and retrieval systems across a range of sectors. Leading stakeholders in the automated storage and retrieval systems market are attracting more investments from players in the warehousing industry by aiding them to boost the delivery speed, material handling flexibility, and transportation efficiency with technologically advanced automated storage and retrieval systems. A majority of industrial end-users are implementing automated storage and retrieval systems that can help them enhance order accuracy, throughput capacity, while reducing warehousing operational costs. Leading market players are putting their efforts into delivering customized solutions to suit industry-specific applications, in order to maintain a competitive edge. Established stakeholders in the automated storage and retrieval systems market are leveraging their expertise in data gathering, design, construction, and technological innovations to deliver highly-customized automated storage and retrieval systems. 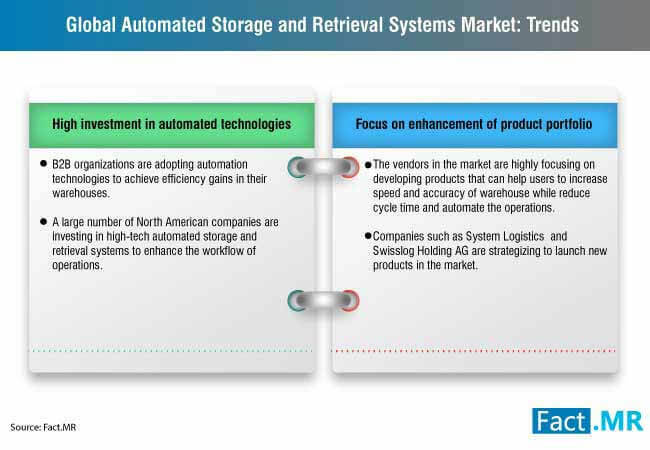 Furthermore, top vendors in the automated storage and retrieval systems market are adopting next-generation technologies to provide a diverse product selection range in order to meet unique needs of end-users. As the e-commerce sector is undergoing rapid developments, a wide range of industries are adopting warehouse automation technologies to further enhance the efficiency of logistics & supply chain management. Automated storage and retrieval system vendors are shifting their focus on developing new industry-specific solutions to leverage additional profit opportunities by incorporating next-generation automation technologies. Especially in the developed countries, companies with manufacturing or distribution operations are investing heavily in warehouse automation. Thereby, to leverage the rise in adoption of automation solutions, players in the automated storage and retrieval systems market are adopting strategies to enter unexplored industrial sectors rather than aiming to establish a strong position in the existing markets. The Fact.MR report offer thorough and comprehensive profiling of the competitive environment in the automated storage and retrieval systems market. The report tracks major developments and strategies of leading players in the automated storage and retrieval systems market during the forecast period. 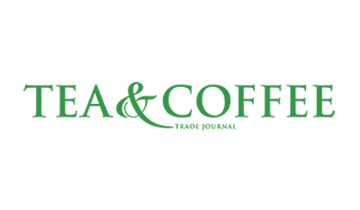 Market players featured in the Fact.MR report include Daifuku Co., Ltd., Murata Machinery, Ltd., Dematic Corporation, Vanderlande Industries, TGW Logistics Group GmbH, System Logistics Spa, Westfalia Technologies, Inc., Honeywell Intelligrated, Swisslog Holding AG, and Invata Intralogistics, Inc.
Murata Machinery, Ltd. recently collaborated with Yamazaki Mazak Corporation, a Japanese machine tool building company, to develop the “MAZATEC SMS (Smart Manufacturing System)”. This system is integration of Murata’s internal factory material handling technology and Mazak’s multi-tasking machine tools and its advanced horizontal machining centers. 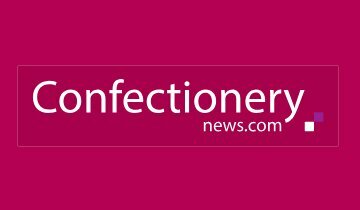 Daifuku Co. revealed its plans to introduce best automated storage and retrieval systems by further enhancing its fully in-house production systems. Other players in the automated storage and retrieval systems market, such as Dematic Corporation and Honeywell Intelligrated are concentrating on introducing innovative software platforms that can aid in maximizing warehouse operational efficiencies to meet the dynamic end-user needs to support e-commerce growth. Automated storage and retrieval systems are computer-controlled systems used in warehouses for automatically storing and retrieving goods from their definite storage locations. Automated storage and retrieval systems are a collective system of hardware integrated with software for accurate storage and replenishment of loads, which increases productivity, efficiency, and reduces labor involvement and inventory levels. The Fact.MR report consists of the most important insights about the recent developments and potential opportunities in the automated storage and retrieval systems market. Based on a thorough market research, accurate conclusions about the future prospects of the automated storage and retrieval systems market are drawn, which can help market players to make informative decisions in the coming future. The Fact.MR report divides the automated storage and retrieval systems market into several segments to provide seamless information about the growth parameters of the market. Depending on the geographical regions, the automated storage and retrieval systems market is divided into North America, Latin America, Europe, the Commonwealth of Independent States (CIS) & Russia, Japan, Asia Pacific excluding Japan (APEJ), and Middle East & Africa (MEA). The report further classifies the automated storage and retrieval systems market into five categories based on its types, i.e. unit-load AS/RS, mini-load AS/RS, vertical lift modules (VLMs), horizontal carousels, and vertical carousels. Based on the categories of automated storage and retrieval systems, the report segments the market into standalone and integrated automated storage and retrieval systems. 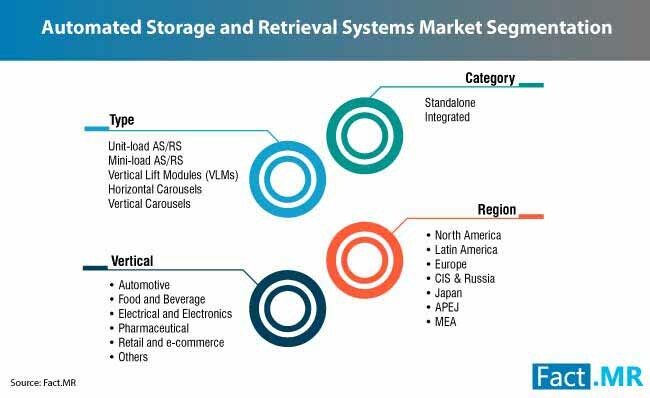 Furthermore, the automated storage and retrieval systems market is divided according to the end-user industries, such as automotive, food & beverage, electrical & electronics, healthcare, and retail & e-commerce. What are the future trends in the automated storage and retrieval systems market that may impede the market growth? Which countries are the major focus for automated storage and retrieval system vendors across the world? Why most of the leading players in the automated storage and retrieval systems market investing in North America? What are the risks involved in investing in the APEJ automated storage and retrieval systems market? Which end-user industry will influence the growth prospects of the automated storage and retrieval systems market by 2028? Analysts at Fact.MR follow a holistic approach while conducting a thorough research about the automated storage and retrieval systems market. 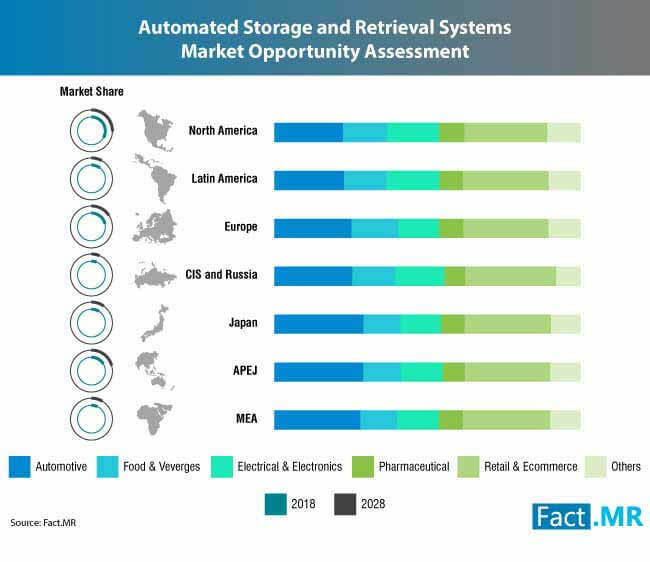 The conclusions about the growth prospects of the automated storage and retrieval systems market mentioned in the report are the outcome of secondary and primary market research conducted by analysts at Fact.MR. Secondary market research is conducted by the analysts helps to understand the historical and current industry-validated data about the automated storage and retrieval systems market. 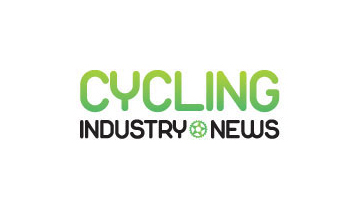 It is then followed by primary market research, where leading stakeholders, such as vendors, distributors, suppliers, and investors, in the automated storage and retrieval systems market are interviewed. The numbers associated with the growth of the automated storage and retrieval systems market obtained at the end of the secondary research are cross-checked with the number obtained during primary research. This way, analysts at Fact.MR ensure the accuracy and reliability of the conclusion on how the automated storage and retrieval systems market will grow during 2018-2028.